The Frank Lloyd Wright-designed Monona Terrace® Community & Convention Center is located in the heart of Madison&apos;s vibrant downtown on the shore of Lake Monona, two blocks from the Wisconsin State Capitol. This spectacular 250,000 square-foot, multi-level structure features public promenades, meeting rooms with striking lake views and the attached Hilton Madison Monona Terrace. Gracing the rooftop is a 68,000 square-foot garden that may be reserved for events. 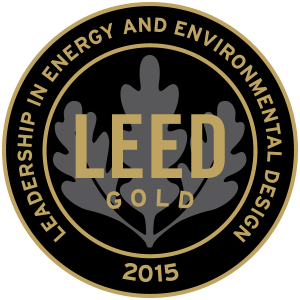 Monona Terrace received the designation of Gold Level LEED-EB (Leadership in Energy and Environmental Design-Existing Building) as a certified green building in November of 2015 by the U.S. Green Building Council. Monona Terrace was previously certified at the Silver Level in September 2007, and was one of the first existing convention centers in the U.S. to receive a certification. 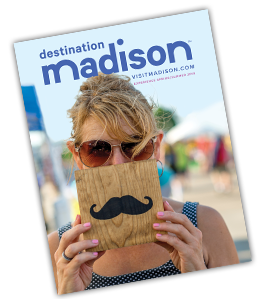 Monona Terrace is recognized as a Travel Green Wisconsin Member by the Wisconsin Department of Tourism for continuing to improve operations in order to reduce environmental impact. Revamped recycling practices have more than doubled the overall recycling rate for the building. Monona Terrace currently recycles more than 50% of its solid waste stream. The use of non-toxic green cleaning products has been implemented throughout the building. Monona Terrace partnered with the City of Madison, in following with the City&apos;s Natural Step initiative, to purchase environmentally friendly cleaning products at a bulk pricing rate. This encouraged many city departments that were not green cleaning to begin using environmentally friendly products. The use of recyclables, including plastic cups at water stations and outdoor events, box lunch packaging, copy paper and toner cartridges, are all examples of how environmental factors are fused into Monona Catering. In addition, leftover foods (typically 8k lbs per year!) are donated to local food pantries, many condiments are presented in bulk packaging, and custom organic menus are available. The Leonardo Academy is a Madison based organization that focuses on a wide variety of sustainability issues. For clients that seek ways to reduce their footprint on the environment, Monona Terrace offers the Leonardo Academy&apos;s Cleaner and Greener Program as an option. This program has been offsetting emissions caused by events since 2001. The program provided emission reduction statistics to Monona Terrace, in preparation for LEED certification. The study indicated an annual reduction of carbon dioxide building emissions by 5,471 tons as compared to comparable convention centers in similar climatic zones. One hundred percent of electrical energy and non-electric carbon emissions at Monona Terrace is purchased renewable power. Although the facility usage continues to increase, and additions have been made to the building, Monona Terrace uses 27% less energy on average than other convention centers in similar climatic areas.